France striker Antoine Griezmann has ended speculation about his future by vowing to remain with Atletico Madrid, who he expects to spend well this summer. The 27-year-old frontman had been heavily linked with a big-money move to Barcelona, but has now opted to remain with Atleti, for whom he has scored well over 100 goals in all competitions in four seasons with the club. I want to show everyone I have faith in the team and my team-mates and that I haven't made a mistake. And Griezmann is hopeful that the Madrid outfit will be active in the transfer market in a bid to strengthen their squad and enable themselves to challenge for major honours. He confirmed via the Spanish media: "They are doing everything possible to improve the team. They are making a big effort to strengthen and I want to stay. I've decided to stay. "I want to show everyone I have faith in the team and my team-mates and that I haven't made a mistake. "We are going to try to win our first trophy of the new season on August 15th (UEFA Super Cup)." 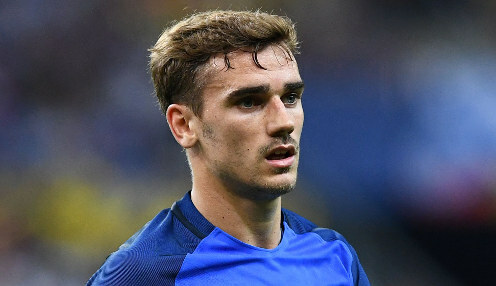 Griezmann joined Atleti from Real Sociedad in the summer of 2014, while on the international stage he has won more than 50 caps with Les Bleus and is a member of their World Cup finals squad. Last season Atletico finished in second place in La Liga, 14 points adrift of champions Barcelona, while they were beaten by Sevilla in the quarter-finals of the Copa del Rey. In Europe, Los Rojiblancos exited the Champions League at the group stage, but made the most of a second opportunity by going all the way in the Europa League - defeating Marseille 3-0 in the final in Lyon in mid-May. Atletico can be backed at 500/1 to win La Liga next season and are 12121/1 to triumph in the Champions League.